The Comberford family which takes its name from Comberford was in possession of the estate in south-east Staffordshire from the late 11th or early 12th century. The first person to use the name Comberford appears at the end of the 11th century. The name Alan de Comberford appears consistently from soon after 1070 repeatedly until 1278, a 200-year period, spanning six or seven generations. However, it is often difficult to distinguish and separate their identities, or to establish with certainty their kinship with each other. ALANUS de CUMBERFORD or Alan of Comberford was holding Comberford in the reign of William I or II, ca 1070-1120, from the Beauchamp family, ancestors of the Nevilles who became Earls of Warwick and Lords Abergavenny. Alanus also held land at Chesterfield, between Wall and Shenstone, south of Lichfield. Chesterfield was called Chesterford by Holinshed and has also been called Campfield. ALANUS de COMBERFORD, who is mentioned during the reign of Henry I (1100-1135), in the pipe rolls and other Staffordshire records. He held lands at Wigginton, near Tamworth, and Chesterfield in Scertestan (Shenstone). ALANUS de COMBERFORD was “dominus de Comberford” in the 40th year of the reign of Henry II (1166) and during the reign of King Stephen, and died before 1183. As Alanus de Comberford, he received a grant of the manor and lands of Wigginton from Thomas fitz Robert, who may have been a nephew of Hugh Flamvile. The witness included Rob. Fil Galfr., Rob. Pingnat, Rog. Capellano, Willielmo de Hales, Rogero de Hadeford, Godfrido Briano “sacredote,” Nicholao de Licefelde [of Lichfield], et multis allis. Around this time, Shaw notes that an Alan de Cumberford who was a witness to an old deed in Tynmore, near Fisherwick, concerning rights on the River Tame. In the reign of Richard I (1189-199), Shaw notes, the Comberford family owned the Manor of Chesterfield (called Chesterford by Holinshed), near Wall, south of Lichfield. 1, Alan de Comberford, of whom next. 2, William de Comberford, a witness to Robert de Stafford’s grant to Bordesley Abbey in 1183. After the signing of Magna Carta in 1215, King John threatened to destroy Tamworth Castle, but this never happened. Robert Marmion, who died in 1215, had three sons, Robert Marmion the elder, Robert Marmion the younger, and William Marmion, who in 1257 became the first recorded Dean of the Collegiate Church of Tamworth. Robert Marmion the younger paid £500 in 1215 to reclaim tenancy of the castle. As an indication of the depressed economy in Tamworth, the roll of tollage for Staffordshire in 1222 lists Tamworth as a villata rather than a town or borough. This downturn in trade at a time when the economy of England was booming is likely to have been caused by the establishment of competitive markets nearby in Lichfield, Abbot’s Bromley, Burton-upon-Trent and Wolverhampton. Tamworth remained crown property until 1238, when Henry III exchanged the Staffordshire half of Tamworth for land in Cheshire with Henry de Hastings, who became the new Lord of the Manor. Robert Marmion the elder died three years later in 1241. His son and heir, Philip Marmion, soon became involved in a dispute with the local lords, Henry de Hastings of Wigginton and Ralph Basset of Drayton. ALANUS de COMBERFORD, who was living in 1247. In 1258, Philip Marmion established a chapel dedicated to Saint James in Wigginton parish church. This chapel was later known as Spital Chapel. During the Barons’ Revolt in 1258-1267, Hastings and Bassett sided with Simon de Montfort while Philip Marmion sided with King Henry III. De Montfort and Bassett were killed in 1265 at Evesham and Philip Marmion was then granted the Lordship of the Manor of Wigginton and both the Staffordshire and Warwickshire sides of Tamworth for life. However, by royal command, the lordship of the Staffordshire half of Tamworth and the manor of Wigginton were returned to the descendants of Henry de Hastings in 1285. ALAN de COMBERFORD, son of Alan de Comberford, who claimed Wigginton Manor in 1278 but he was sued by the Marmion family for £10 in damages caused in fields in Coton and Wigginton, two villages within a mile of Comberford. 2, Rogerus de Comberford, of whom next. ● 1a, Richard de Comberford, who had three daughters. The eldest daughter and heiress, Margery, was ancestor of the Hopwas and Endsore families of Comberford. ROGERUS de COMBERFORD, Lord of Comberford, was living in 1256, and in 1266. He was a witness to a 13th century deed relating to the Manor of Hints, between Lichfield and Tamworth, and to a deed relating to the property of John de Tamenhorne during the reign of Edward I. He was present at an inquisition held in Tamworth on 20 August 1266 on the extent of the king’s manor in Wigginton and Tamworth. In January 1286, Roger de Cumberford, along with Richard Don, Alan Cocus and three others, was accused by Philip Marmion of entering his Manor of Wigginton, breaking open his houses, cutting down his trees and carrying off goods and chattels to the value of £20. None of the defendants appeared at the court hearing in Bristol, and off his goods and chattels to the value of £20. None of the defendants appeared, and the Sheriff was ordered to arrest them and produce them at the Easter sitting. Roger de Comberford was still living in 1291. In that same year, Lichfield was severely damaged by a fire and Philip Marmion died. With Philip Marmion’s death in 1291, the crown regained ownership of the Warwickshire half of Tamworth and the tenancy of Tamworth Castle passed to Philip’s daughters Joan and then Mazera (Cromwell). In 1294, the tenancy of Tamworth Castle passed to Mazera Marmion’s daughter, Joan, who was married to Alexander de Freville. The year 1294 also sees the first reference to a bridge crossing rather than a ford of the River Tame at the site of the Lady Bridge. At this time, Wigginton and Comberford were providing an annuity of £6 to Ralph de Hangham as Prebendary of Wigginton and Comberford, one of the five canons at the Collegiate Church of Saint Editha, Tamworth; the other five prebends were Bonehill, Syrescote, Coton and Wilnecote. RICHARD de COMBERFORD, Lord of Comberford, was living in 1313, 1327 and 1329. In 1319, King Edward II leased the Warwickshire half of Tamworth to the burgesses for the sum of £5.16.0. In 1325, Edward II visited Tamworth Castle as a guest of Alexander de Freville. Alexander de Freville died in 1328, and the tenancy of Tamworth Castle passed through five generations of Frevilles, all named Baldwin. In the subsidy roll of 1327, Richard de Comberford was assessed at 4 shillings. In 1327, Richard took action against Sir Richard Vernoun and Henry Bishop, claiming they were detaining some of his beasts. 1, William de Comberford, of whom next. 2, Margaret, living in 1347. WILLIAM de COMBERFORD, was Lord of Comberford. He was assessed at 2 shillings, 5 pence, on the subsidy roll in 1333. He also held a house, 50 acres of land and 12 acres of meadow in Little Ridware, more commonly known as Pipe Ridware, north of Lichfield and east of Rugeley, in 1337. Edward III granted a royal charter to Tamworth in 1337, with permission for two fairs a year in Tamworth in April and October. It is said that following the fire that destroyed Tamworth and Saint Editha’s Church, William Comberford funded the rebuilding of the north transept of Saint Editha’s. This chapel, dedicated to Saint Catherine, is known as the Comberford Chapel. William died in 1349, and an alabaster monument in the Comberford Chapel is said to be his, while Palmer said in the mid-19th century that a large plain altar tomb against the south (recte north) wall of Saint Editha’s “appears to have belonged to the Comberfords, as the mural monument of that family was placed over it.”  The earlier alabaster monument was badly damaged by Parliamentarian forces after they captured Tamworth in June 1643, and the Comberford chapel was defaced. From 1809 to 1870, this monument was hidden by a great stairs built in the aisle, but the stairs was later removed and became part of the fittings of the Moat House. The monument was visible once again, and James Comerford, who noted its details in the 1880s, said there was an old small card on it with the following remarks: “Effigy of warrior in chain mail with surcoat over haubert and sword belt, head resting on helmet (other fragments of this monument may be seen in the muniments room). This Monument formerly lay under pointed arch in north transept similar to that in St. George’s Chapel but now walled up, it was in memory of one of the Comberfords, this transept being called ‘Comberford Chapel’.” The Tamworth historian Mitchell dated the monument to ca 1500. According to Mitchell, the figure in the monument was in chain mail and with a collar of SS, a Lancastrian symbol that would support Mitchell’s later dating of the monument. According to James Comerford (1902), there were two small figures at the foot of this monument, representing William de Comberford’s son and daughter. Neither the collar nor the figures representing the children were evident by the 1970s, or in 2007. The monument remains in the Comberford Chapel. 1, John de Comberford, who succeeded to the Comberford estates. JOHN de COMBERFORD, was Lord of Comberford in 1350 and 1366. In 1366, with his wife Alice, John was granted Hopwas and extensive estates between Lichfield and Tamworth by his kinsman, Canon Hugh de Hopwas, a canon of Lichfield Cathedral. In 1382, John de Comberford returned these extensive estates to the Hopwas family when he granted them to John de Hopwas. Although the collegiate church of Saint Editha’s lost many of its benefactions, it received a steady trickle of gifts and bequests throughout the 15th and early 16th centuries. Most of these came from local people and, with few exceptions, consisted of small pieces of property in and around Tamworth or of small sums of money. The will of John Comberford of Tamworth, for example, proved in 1414, included bequests of 3 shillings to the high altar, 1s. 6d. to the Holy Trinity altar, and 6d. to each of the other altars in the church. 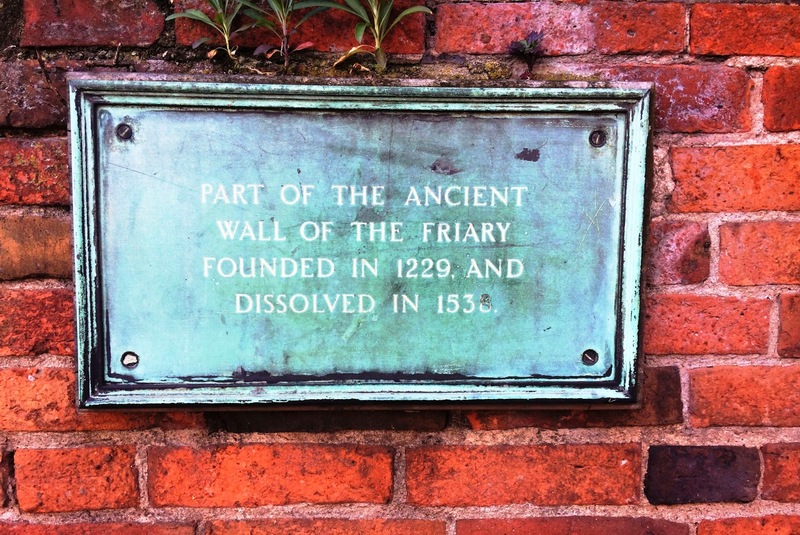 He also left 10 shillings for masses to the Carmelites of Coventry and 10s to the Franciscan mendicant friary in Lichfield. John Comberford married Alice …, who made her will in 1392. John survived Alice by a number of years. He died in 1414, without having any surviving children. He made his will on 7 June 1414, and probate was granted on 8 November 1414. 1, John Comberford, of whom next. 1a, Robert Comberford, who was living in 1454, and who died unmarried. Richard was a contemporary of Roger de Comberford of Burton-upon-Trent, Staffordshire, glazier, who granted all his goods and chattels to his brother, John de Comberford and Hugh de Comberford on the Monday after the feast of Saint George, 13 Richard II (25 April 1390). Burton-upon-Trent is 11 miles north of Comberford. JOHN COMBERFORD, who was Lord of Comberford in 1414. The last of the male line of the Freville family, Sir Baldwin Freville, died four years later in 1418, and the title to Tamworth passed to his sister, Elizabeth wife of Thomas Ferrers. In 1422, Sir John Griffith granted the manors of Wichnore and Sirescote to John Sutton, Lord Dudley, and John, Lord of Comberford, is trust for his son. 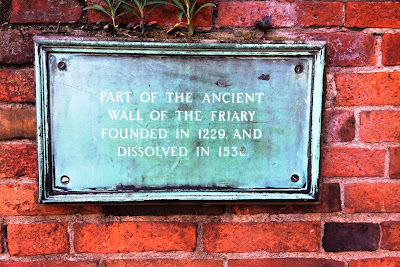 In 1424, John Comberford owned a “messuage in Lychfeldestrete (Lichfield Street) between the highway and the field known as Wallefurlonge.” Adams suggests that this site may have been nearer into the town and on the other side of Lichfield Street from the Moat House. In 1424, John Comberford leased property in Lichfield Street to Edmund Pachette or Paget, who paid 6 shillings 8 pence to enter the property in the liberty of the town. John was still living 1429-1436. 1, (Judge) William Comberford (ca 1403/1410-1472), of whom next. (Judge) WILLIAM COMBERFORD (ca 1403/1410-1472), JP, MP, was the first member of the family to attain national importance. Born ca 1403-1410, William was an important landowner in south Staffordshire in the mid-15th century, with land in Comberford, Wigginton and Tamworth. In 1422, Sir John Griffith granted the manors of Whichnor, Sirescote and other estates to John Lord Dudley, William Comberford, and others in trust for his son. In 1439, William was building a new house for himself at Comberford. Generations later, the 17th century Staffordshire historian, Robert Plot, Keeper of the Ashmolean Museum, Oxford, recorded the superstition about “the knocking before the death of any of ... the family of Cumberford of Cumberford in this County; three knocks being always heard at Cumberford-Hall before the decease of any of that family, tho’ the party dyeing be at never so great a distance.” William Comberford’s 15th-century Comberford Hall was a half-timbered, moated manor house, and was still partly standing in the early 18th century. A reference in 1460 to Mr Comberford’s house in Tamworth “lately burned down” may well refer to the Moat House in Lichfield Street, Tamworth, which was not rebuilt until the mid-16th century. Adams raises the possibility that after the fire William Comberford could have sold the Moat House to the Jekes family, but concedes that the gap that the gap in records makes it difficult to trace what happened to the house and site in Lichfield Street for almost a century between 1460 and 1540. Meanwhile, in the late 1430s, a temporary understanding was reached between two of the main protagonists in Staffordshire politics, the Ferrers family, who held a tightly-knit group of manors in east and south Staffordshire and in Warwickshire, including Tamworth Castle, and the Humphrey Stafford (1402-1460), Earl of Stafford (and from 1444 Duke of Buckingham). As a lasting consequences of this temporary understanding between the Ferrers and Stafford families in the late 1430s, the Stafford family drew within their political ambit a number of key figures who had previously been associated with the Ferrers family – in particular, William Comberford, William Mountfort and, in time, the Vernons of Haddon. And so, by the time William Lord Ferrers died in 1450, his family had irrevocably lost the support of many leading local people of influence, including the Comberfords. Buckingham exercised his control of political life in Staffordshire through the appointments to the four major country offices – sheriff, escheator, Member of Parliament, and commissioner. Stafford was Buckingham’s pocket borough, but he exercised a regular control over five of the six Staffordshire seats – the two knights of the shire, the two MPs for Stafford, and one seat in Newcastle-under-Lyme, but he also controlled the second seat for Newcastle as Steward of the Honour of Tutbury, an office that made him the principal local official of the Duchy of Lancaster. William Comberford may have first come to the attention of Stafford in 1442 when he was working as a lawyer on behalf of John Talbot (ca 1384/1390-1453), 1st Earl of Shrewsbury. Talbot was the last of the celebrated English commanders of the Hundred Years’ War, and was made Earl of Shrewsbury in 1442. Later, William Comberford was executor for Shrewsbury, and sided with Buckingham’s friend, John Talbot, 2nd Earl of Shrewsbury, in his struggle with the Lisle branch of the Talbot family over the division of his father’s inheritance. Comberford was soon retained as a lawyer by Stafford in 1442 and put to work helping to sort out Stafford’s dispute with Sir Thomas Stanley over the Manor of Bosley in Cheshire. William was first appointed to the Staffordshire bench in 1442, and was a Justice of the Peace (JP) from 1442 to 1471. In 1446, he was made an attorney for the Duchy of Lancaster in the Court of Common Pleas. Soon afterwards, Buckingham’s patronage secured for him the office of second protonotary or chief clerk in the Court of Common Pleas. He was one of the Commissioners appointed to distribute money in distressed areas in the late 1440s. On 27 March 1442, he became one of the two MPs for Newcastle-under-Lyme, Staffordshire, on the nomination of the Chancellor of the Duchy of Lancaster, because he was a judge and one of Buckingham’s retainers. He remained MP until 3 March 1447. He was an MP for Staffordshire from 1449 to 1450, when he was replaced by a Yorkist, and may have been an MP for Staffordshire again between 1459 and 1465. There was a stranglehold on the commissions by a quintet of Stafford family placemen – William Comberford, Thomas Arblaster, John Hampton, John Harper and Robert Whitgreve – and membership was virtually by personal invitation of Buckingham alone. On 6 December 1446, Comberford was on a Commission of the Peace for Staffordshire. On 8 February 1448, he was on a commission to inquire into all concealed wards, marriages, etc. in Staffordshire. On 4 July 1449, he was a member of the Commission of the Peace for Staffordshire). Later, on 1 August 1449, he was a distributor of allowance on a tax in Staffordshire. He was one of those appointed on 18 February 1450 to deliver Worcester Castle gaol. On 8 August 1450, he was a Commissioner for a tax in Staffordshire. Comberford was one of the Commissioners appointed to raise money in Staffordshire for the defence of Calais in 1450 and 1455. Between 20 November 1453 and 9 May 1456 he appears regularly as a member of the Commission of the Peace for Staffordshire. On 17 December 1456, he was a member of a commission to assign the number of archers each part of Staffordshire should supply. On 26 September 1457, he was a member once again of the Commission of Array for Staffordshire. On 24 February 1459, he was a member of the Commission of the Peace for Staffordshire. In 1460 his legal interests took him further south, and throughout 1460 he was an attorney in a number of legal suits in Kent and London. On 13 February 1460, and again on 12 March 1460, he was a member of a commission to inquire into the lands held by Sir William Oldhall in London, Middlesex, Norfolk, Suffolk, Cambridgeshire, Essex and Hertfordshire. He soon returned to the Midlands, and on 18 March 1460, he was on the Commission of the Peace for Staffordshire once again. On 5 April 1460, he was one of those appointed to deliver Warwick gaol of a prisoner. Comberford’s patron, the Duke of Buckingham, was killed at the Battle of Northampton on 10 July 1460. Nevertheless, Comberford continued to play an important role in the political, civil and judicial life of Staffordshire. Between 8 July 1461 and 8 July 1471, he appears regularly as a member of the Commission of the Peace for Staffordshire. 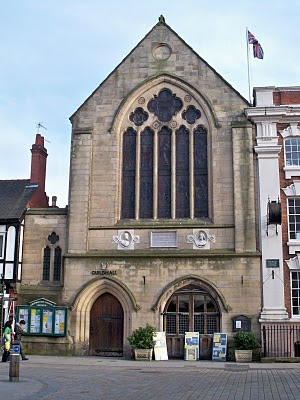 In 1469, as “Will’s Combford,” he was admitted to membership of the Guild of Saint Mary and Saint John in Lichfield, along with Ralph FitzHerbert (“Radius Fitzherbard”), father-in-law of William’s grandson, Thomas Comberford. .
William Comberford remained a magistrate until 1471, and on 7 March 1472 he was a member of the Commission of Array for Staffordshire, charged with raising an army for King Edward IV. Outside political and legal affairs, William Comberford maintained a keen interest in looking after his family’s property holdings and interests. In Michaelmas 1443, he took action against John Lewis, late of Faresley (Fazeley), mylner, and John Makernes, late of Bytterscote (Bitterscote), mylner, claiming they had used force to take goods and chattels belonging to him from Comberford. On 3 October 1448, William Comberford was one of the many leading Lancastrians – along with William, Marquess of Suffolk, John Talbot, eldest son and heir of the Earl of Shrewsbury, Ralph, Lord de Sudeley, Sir Thomas Stanley, Sir William Roos, Ralph Poole and Sir Humphrey Stafford – who were granted the manor of Ashby-le-Zouch in trust, with all the lands, etc., attached to it in Leicestershire and Derbyshire. In 1450-1451, the Manor of Barnt Green near Alvechurch in north-east Worcestershire and south-west of Birmingham was conveyed by William Cecil and his wife Margaret to William Cumberford. The Manor of Barnt Green was probably included in the Parish of Alvechurch in north-east Worcestershire in the early days of its history. It remained in the Comberford family for a number of generations, and the next recorded owner is Christopher St. Germain, who demised it for 40 years to William Willington in 1527–1528. On 25 February 1459, he was one of those granted the keeping of the manor of Ardley, Staffordshire. On 7 November 1459, the keeping of the lands of Margaret Catesby was committed to William Comberford. Margaret Catesby was the widow of John Parles (1419-1452) of Watford and of Shutlanger, near Stole Bruerne, five miles south of Northampton. After her husband’s death, she had remarried almost immediately her second husband Robert Catesby. Margaret died in 1459, and there was a dispute about whether her estates should pass to her seven-year-old son, William Catesby, or her daughter Joan Parles, who was William Comberford’s ward and who would come of age two years later in 1461. In 1460 William Comberford and his wife Anne, with the support of Thomas Litilton (Littleton), William Wysetowe, and John atte Well, extended their land holdings on the edges of Lichfield and in the surrounding district when they succeeded in a legal dispute with Thomas Kegworth and his wife Joan. William recovered seven messuages, two cottages, two gardens, 48 acres of land, 2½ acres of meadow, and 139 acres of pasture in Lichefeld (Lichfield), Longedon (Longdon), Morghwhale (the lost hamlet of Morughale, south-west of Streethay and close to the present Trent Valley Railway Station in Lichfield), Curburgh (Curborough), Stretehay (Streethay), King’s Bromley and Elmehurst (Elmhurst). William Comberford was not averse to using his positions of trust to benefit the fortunes of his own family. In 1461, when he was granted the wardship of Joan, daughter and heiress of John Parles of Watford, he promptly arranged for her marriage to his own son and heir, John Comberford. On 20 April 1461, he was involved in the gift of the goods and chattels of Richard Banbury of London. On 8 May 1465, he was one of those granted the commitment of the keeping of the lands of Sir Thomas Charlton. On 1 August 1465, as William Cumberford, he was one of five men to whom the manor of Over Arley or Adderly, Staffordshire, was granted in trust by the Revd David ap Jauan, Rector of Acton Burnell, and the Revd William Tegge, Rector of Norton-in-Hales, Shropshire; the four others were Thomas Lyttlylton, Humphrey Salwey, Guy Westcote and Robert Chetilton. William Comberford was one of the executors of the will of Sir William Vernon of Haddon in 1467. On 16 February 1468, Comberford was a member of a commission to determine a land dispute in Nottinghamshire. In 1471-1472, William Comberford, Humphry Starky and Thomas Stokley were granted lands and other properties in Newport Pagnell and Tykford, Buckinghamshire, by Geoffrey Seyntgerman (St Germain). William Comberford died on 11 June 1472, and no member of his family attained similar importance in south Staffordshire for a century. William Comberford married around 1424 Anna or Anne, daughter of Robert Browe, MP, of Teigh and Woodhead, Rutland, and widow of John Heliwell of Whissendine, Rutland. John and Anne had no children, and Anne afterwards married William Comberford. Her surname is not given in any of the family pedigrees, and the sequence of quarterings on the Comberford coats-of-arms in the long gallery of the Moat House in Tamworth, and in the arms recorded at the Visitations of Staffordshire and Warwickshire, appear to make her the heiress of a branch of the Edgbaston family, an important family in the Birmingham area. She was William’s executrix and after his death she married her third husband, William Newport, of High Ercall, Shropshire, High Sheriff of Shropshire in 1473. She was his third wife and he was her third husband. Anne and William Newport disposed of an interest in land at Tygh [recte Teigh] in Rutland in a quitclaim dated 20 June 1476, transferring to the Sherard family her interest in “Hellewelle lands in Tygh.” There was a further quitclaim by her son John Comberford in 1478. The transactions probably refer to her dower from her marriage to John Heliwell. William Newport died in 1488, and a writ de diem clausit extremum was issued on 2 May 1488. Anne was still living as late as 1500, when she gave a receipt to John Newport, her step-son, for an annuity payment of £5. 2, (Revd) William Comberford, “capellanus”, living in the 17th year of Henry VII’s reign (1502). ● 1a, William Holte of Nichells, ancestors of the Holte family, baronets, of Aston. Shaw 1, p. 434; Adams, p. 14. Erdeswick’s Survey, p. 158; Erdeswick, pp 329-330; Shaw, p. 431, quoting Harl. Mss. 509. Wood (1972), p. 89; Stone, pp 20-21. Wood (1972), p. 90; Stone, pp 20-21. Wood (1972), p. 99; Stone, pp 21-23. Shaw 1, pp 433, 434; Adams, p. 15. Shaw 1, pp 379, 434; Erdeswicke, pp 329-330. Shaw 1, pp 431, 434; Adams, pp 8, 15; CF Palmer, The history of the Town and Castle of Tamworth (Tamworth: Jonathan Thompson, 1845), p. 70; Shenstone Charters, p. 259. Shaw 1, p. 431; Palmer (1845), p. 70. ‘Plea Rolls for Staffordshire: 13 Edward I,’ Staffordshire Historical Collections, vol 6 part 1 6/1 (1885), pp 156-61, http://www.british-history.ac.uk/report.asp?compid=52434 (16.5.2007); Adams, p. 15. Wood (1972), p. 90; Stone, p. 24. Adams, p. 15; VCH Staffs 3, pp 310-311; From: ‘Plea Rolls for Staffordshire: 13 Edward I,’ SHC 6/1 (1885), pp 156-161, http://www.british-history.ac.uk/report.asp?compid=52434 (28.4.2007). Visit Warwicks, p. 35; Erdeswick, p. 330; after this, Erdeswick is confusing about succeeding generations in the family. Shaw i, p. 434; Adams, pp 8, 15. Visit Warwicks, p. 35; Shaw 1, p. 434; Adams, pp 8, 15. Shaw 1, p. 434; Adams, pp 8, 15. James Comerford (1902), p. 2; Mitchell (1935), p. 182. James Comerford (1902), p. 2; visits by Patrick Comerford to Saint Editha’s, Tamworth, 1970-2016, latest visits 22.3.2007, 28.3.2008, 4.7.2008, 26.2.2011, 23.5.2016, 5.6.2016, 9.6.2016. Reg. Henry Chichele, 3, p. 321; Shaw 1, p. 434; Adams, p. 9. Lichfield Record Office, Mss records of the feoffees of the Burton Town Lands and associated charities, BD 110/103 (part). Wood (1972), p. 91; Stone, pp 36-37. Adams, p. 15; check his refs. Visit Warwicks, p. 35; (HP p. 244); Shaw 1, p. 434; Adams, p. 8. SHC, ns, 3, p. 155; Adams, p. 7. Robert Plot, The Natural History of Staffordshire (Oxford, 1686), pp 329-330. Rowney, pp 49-50, 56, 62. Rowney, pp 58, 62; Burke’s Peerage, various eds, s.v. Shrewsbury. Adams, p. 7; Rowney, pp 57-59, 62. VCH Staffs, 8, p. 42; Adams, p. 7; H.P. p. 244. Adams, p. 7; Rowney, pp 57-59; H.P., p. 244. CPR 1452-1461, pp 561-562, p. 604. VCH Staffs, 8, p. 42; Rowney, pp 57-59, 62; Adams, p. 7. CPR 1461-1467, p. 572; CPR 1467-1477, p. 630. (Rev) Thomas Harwood, The History and Antiquities of the Church and City of Lichfield (1806), p. 405. VCH Staffs, 8, p. 42; (CPR 1467-1477, p. 351); Rowney, pp 57-59, 62; Adams, p. 7; http://www.the-staffordshire-encyclopaedia.co.uk/view.php?%20id=201 (28.4.2007). Hastings Mss, vol 1 (London, 1928), p. 2. ‘Parishes: Alvechurch,’ A History of the County of Worcester, vol 3 (1913), pp 251-257, http://www.british-history.ac.uk/report.asp?compid=43118 (6.7.2007), quoting 75 Feet of F. Div. Co. East. 29 Hen. VI. ‘Parishes: Alvechurch,’ A History of the County of Worcester, vol 3 (1913), pp 251-257, http://www.british-history.ac.uk/report.asp?compid=43118 (6.7.2007), quoting Anct. D. (P.R.O. ), A 4688. ‘Stoke Bruerne,’ A History of the County of Northamptonshire, vol 5: The Hundred of Cleley (2002), pp 374-413. http://www.british-history.ac.uk/report.asp?compid=22791 (6.7.2007). Hastings Mss, vol 1 (London 1928), p. 151; Shaw 2, p. 257. HP, p. 244; Adams, p. 7. NA, Exchequer, Augmentation Office, Ancient Deeds, Series B E 326/2803. HMC 15 Report, The Manuscripts of Shrewsbury and Coventry Corporations, &c (London: HMSO, 1899), pp 144-146. ‘Staffordshire Fines: Henry VI,’ SHC 11 (1890), pp 228-238; Visit Warwicks, p. 35; Shaw 1, p. 434; Adams, p. 8; Roskell, History of Parliament, 1386-1422, vol 2, pp 386-387. Gretton (Sherard) Mss, Leicestershire, Leicester and Rutland Record Office, Quitclaim DE 1431/290, 1496; Roskell, History of Parliament, 1386-1422, vol 2, pp 386-387; Anthony Ruscoe, Landed Estates and the Gentry: An Historical Study of the Landed Estates of North-East Shropshire, vol 2: High Ercall and Hodnet (1998); Newport evidences, Bodleian; CFR, vol 22, Henry VII 1485-1509, p 71 (I am grateful to Michael Andrews-Reading for many of these references). Shaw 1, p. 434; Adams, p. 8; he is not named in Visit Warwicks, p. 35. Visit Warwicks, s.v. Holte of Aston; EDB, p. 268; 'Holt 01,' http://www.stirnet.com/HTML/genie/british/hh4bz/holt01.htm. She is not named in Visit Warwicks, p. 35; Shaw 1, p. 434; Adams, p. 8. © Patrick Comerford, 2007, 2008, 2009, 2010, 2012, 2013, 2014, 2015, 2016, 2018. Last updated: 29 October 2008; 15 and 17 August 2009; 24 December 2009, 20 April 2010, 10 August 2010, 21 December 2010; 30 May 2012; 22 November 2012; 7 June 2013; 27 May 2014, 27 May 2014; 29 June 2015; 5 February 2018, 1 November 2018.